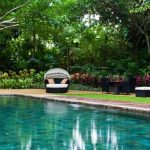 Travel magazines and tour companies have named Sri Lanka as one of the destinations for 2019 – a must see, bucket list destination. I travelled to Sri Lanka with my sister and brother-in-law for a 23-day trip around this teardrop shaped island. This was a private tour with our own driver. However, it is also possible to travel around Sri Lanka by taxi, bus or train. I still hold mixed feelings about my trip to Sri Lanka. After all, we can’t always expect to like everything about every country we visit. That said, Sri Lanka held some highlights for me that are well worth mentioning, such as walking the railway line between Ella and Demodara and our visit to Geoffrey Bawa’s garden. 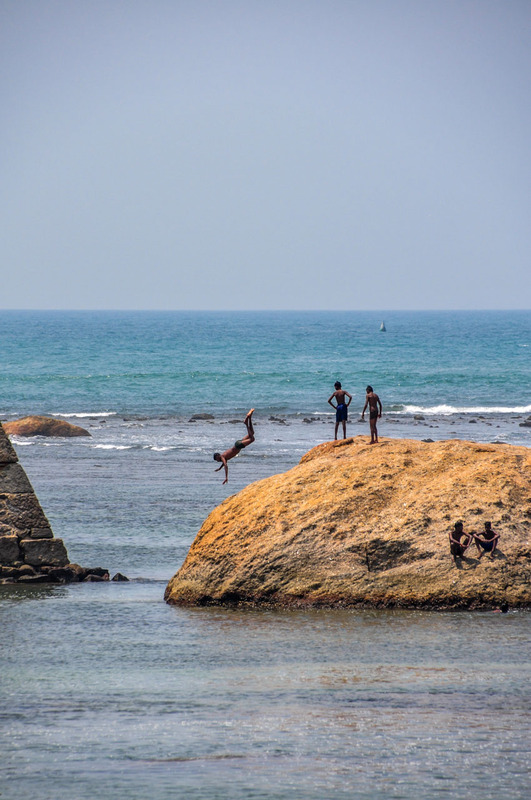 I also highly recommend visiting Galle Fort. In fact, it is worth staying at least a couple of nights. 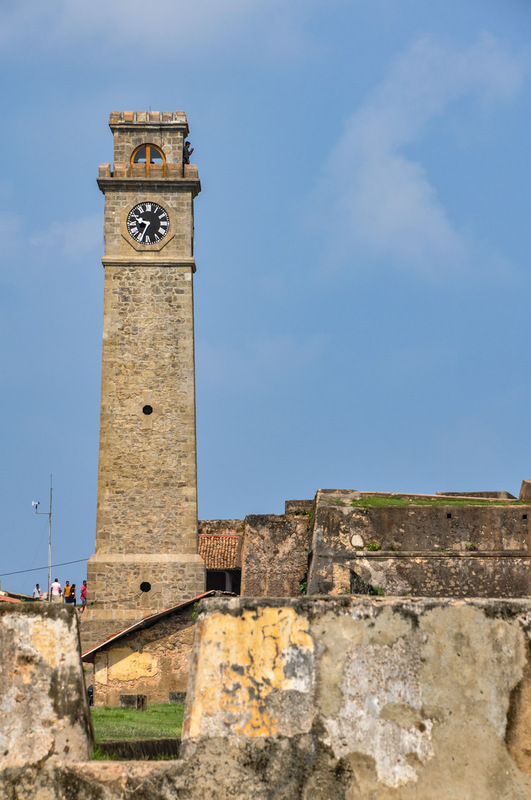 Galle Fort is a historical fortified city, with the New Town of Galle located outside the walls. 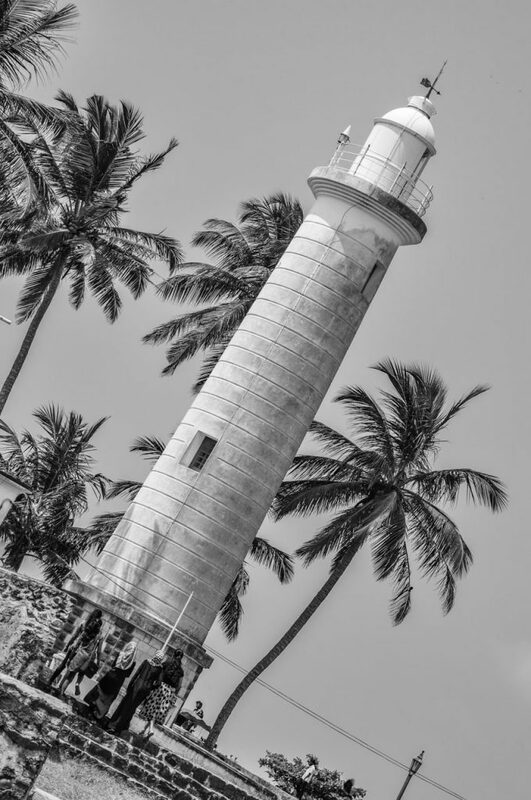 Galle is situated on the southwestern tip of Sri Lanka – a distance of 126 kilometres (78 miles) down the west coast from Colombo (Sri Lanka’s capital). 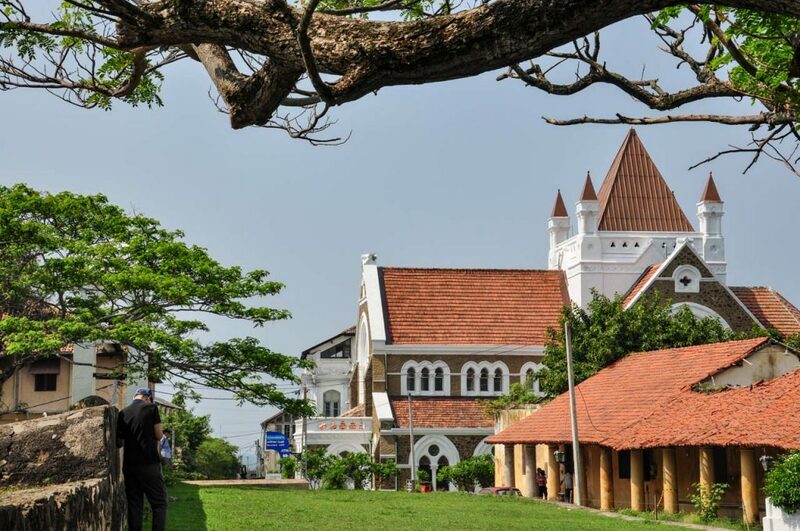 Galle Fort is rich in history; with 400 years of history spaning Portuguese, Dutch and British colonialism. Built by the Portuguese in 1589, the Dutch seized the Fort in 1640 and extended its fortifications, which survive to this day. The British modified the Fort after Galle was handed over to them in 1796. Galle Fort is a UNESCO World Heritage Site and remains the best example in south and southeast Asia of a fortified city built by Europeans. Galle Fort is protected by a wall (ramparts), with 14 bastions, that has seen little change since completion by the Dutch in 1729. The fortifications run for 3 kilometres and are over 1 metre thick. Inside the Fort is a mixture of architecture, with Dutch-colonial buildings, ancient mosques and churches, and grand mansions. Here you will find cafés, restaurants, boutiques, museums, and hotels. It is also a thriving commercial centre. 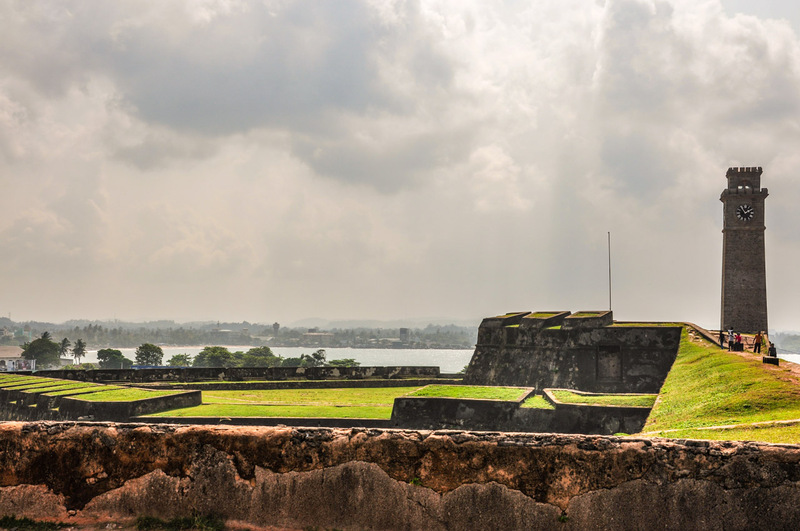 With an area of only 0.52 kilometres square within the fortifications and being relatively flat, Galle Fort is easy to walk around and to see everything. 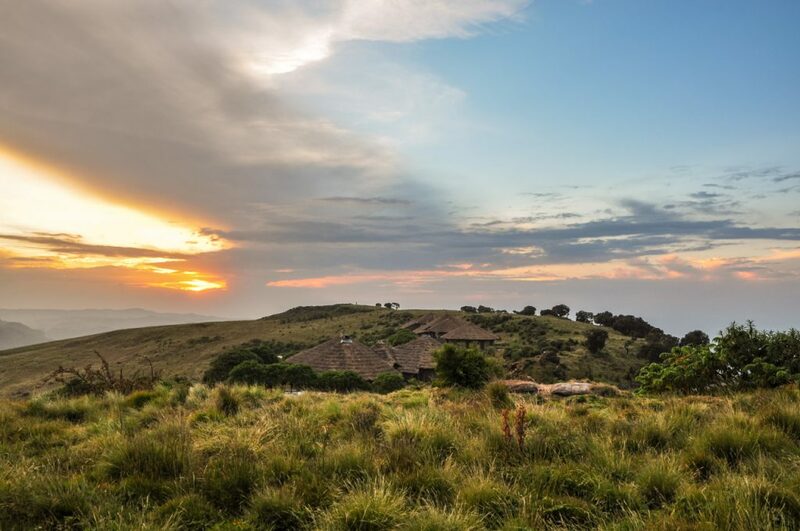 It is also a good base for day trips to the southern beaches, gardens, tea factories, rain forests, and nature walks. At the suggestion of our driver we took the coast road to Galle rather than the expressway. While taking the expressway would have been quicker (approximately 1.5 hours as opposed to approximately 3 hours), the coast road, according to our driver, is more interesting; more scenic. And it was. Hugging the coastline, we passed through many small villages which provided a glimpse into local daily life; where farmers and fishermen continue to live and work as they have done for generations. This was our first real experience of driving in Sri Lanka. I have been in many a country where I thought the population as a whole are terrible drivers, but Sri Lankan drivers take the prize. Their idea or practice of passing is downright scary. Picture this … You have a two-lane road just wide enough for two cars, with one lane for each direction. Suddenly, your lane has three vehicles abreast (including your own, with your driver on his mobile phone) as two vehicles want to pass one, and there is a bus coming in the opposite direction. No one gives way as all four vehicles come abreast and all you can do is close your eyes and hold your breath. And yet, I never saw an accident. I learned a valuable lesson on this drive – don’t ever think of doing a self-drive holiday in Sri Lanka as you may never survive the experience. Their driving and use of the roads are, for these foreigners, positively frightening. My brother-in-law was never able to relax when we were driving. For some reason, he always managed to get the seat with a clear view out the front windscreen. Causing him to remain transfixed on the traffic and in a perpetual state of anxiety. We arrived in Galle Fort mid-afternoon. Our hotel for the duration of our stay in Galle Fort was the Fort Bazaar, inside the Fort itself. The Fort Bazaar (at 26 Church Street, Galle Fort) was formerly a 17th century merchant’s townhouse. 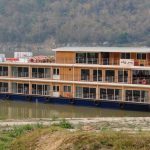 Opening in 2016 in its current status as a small, boutique spa hotel, its 18 rooms are very spacious, cool and furnished with comfortable four-poster beds. Unfortunately, at the time of stay (April 2017), the pool and spa were not yet completed, and they were still waiting on a liquor licence. 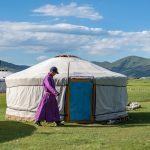 However, it is in a very central location within the Fort and complimentary tea and cakes were served daily between 3.00 and 4.00pm. My kind of hotel. I could not fault the staff, who were friendly, attentive and helpful. Sri Lankan hospitality at its best. Note: The Fort Bazaar, according to a recent view of its website, now has a pool, a spa, and a liquor licence. 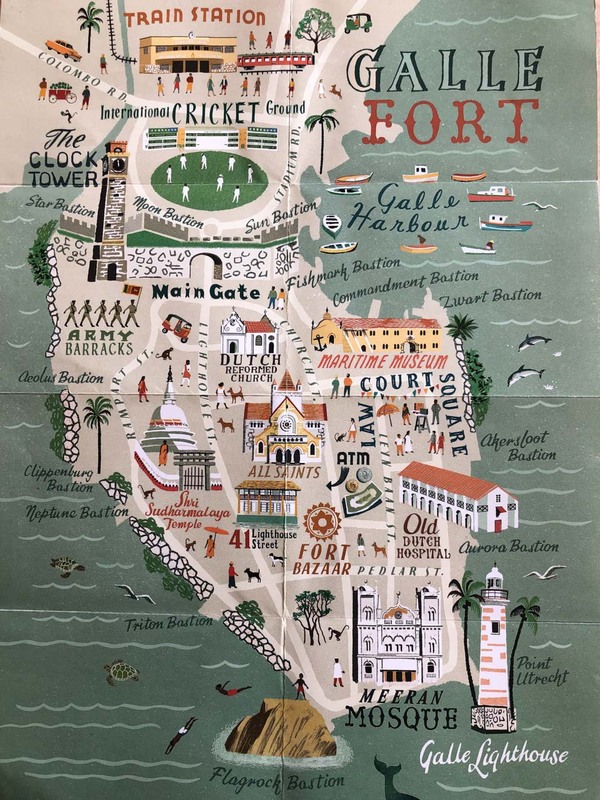 Due to the lack of a liquor licence (which did not suit at all), we booked dinner in the restaurant at the Galle Fort Hotel (at 28 Church Street), which came recommended by guide books. 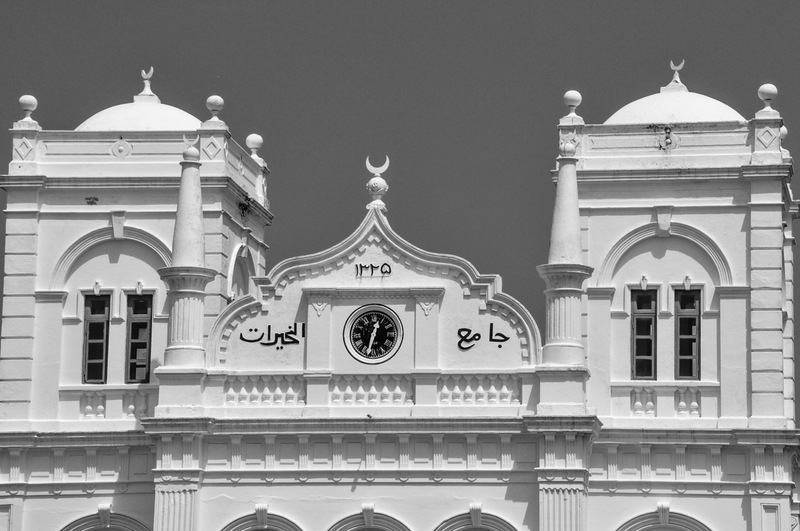 The Galle Fort Hotel was a former gem merchant’s mansion. The restaurant’s setting was picture perfect, with the tables set up on the wide veranda overlooking the pool and garden. However, dinner was less than ordinary, and the service was very slow even though there were only a few diners. In the heat and humidity, all we wanted was a cold drink to start with. But, once seated, we were suddenly invisible. We were starving by the time they remembered to take our meal orders. We do not recommend the restaurant in the Galle Fort Hotel. 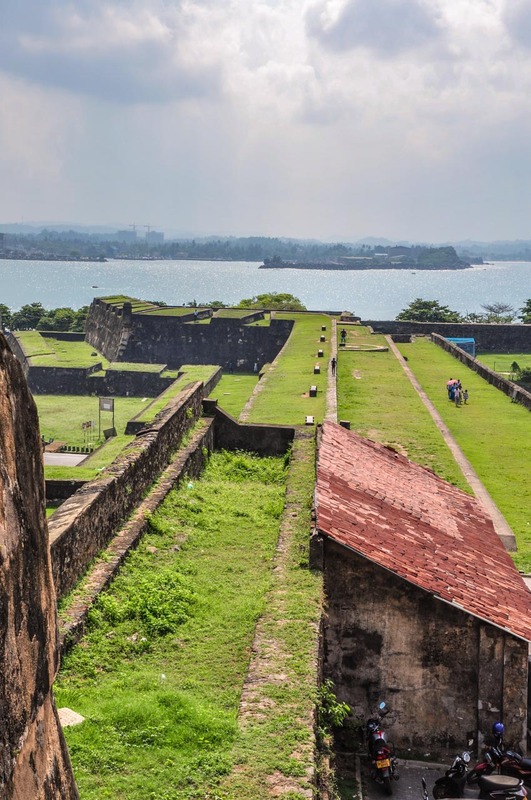 Over dinner, we decided to make an early start for our walk around Galle Fort, its bastions and ramparts (walls) the next day, so that our walk would be completed before the day got too hot. In hindsight, it makes no difference in April, heat-wise, what time of day you venture out as it is always very hot and wet (humidity, not rain). On this day that we decided to do our walk, the humidity was 80% and caused some havoc with our DSLR cameras – fogged up lenses and constant error messages. While I have never found out conclusively if these problems were due to the humidity, it is certainly something to be aware of. The humidity also impacted on my clothing. I wasn’t just dripping perspiration, I was completely wet. I was wearing a dark pink t-shirt that I had washed several times prior to this trip. However, the pink dye was coming out of my t-shirt. It stained my body, and my camera strap and my camera where they were touching the t-shirt. To top it off, the colour was completed bleached out of the t-shirt where my backpack was touching it – to the point where my t-shirt looked as though it had been tie-dyed. 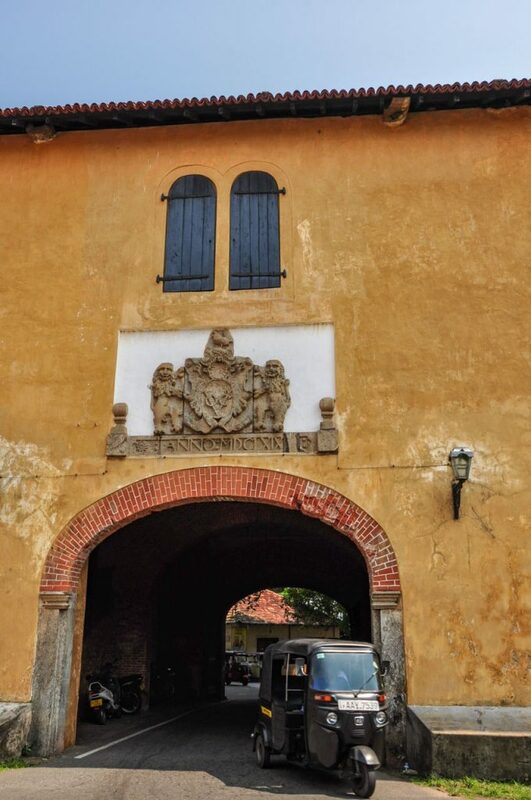 After a leisurely breakfast at the Fort Bazaar of fresh fruit, bacon and eggs, and freshly ground coffee, we set off on our self-guided tour (walk) of Galle Fort. Our first stop was at the Dutch Reform Church. 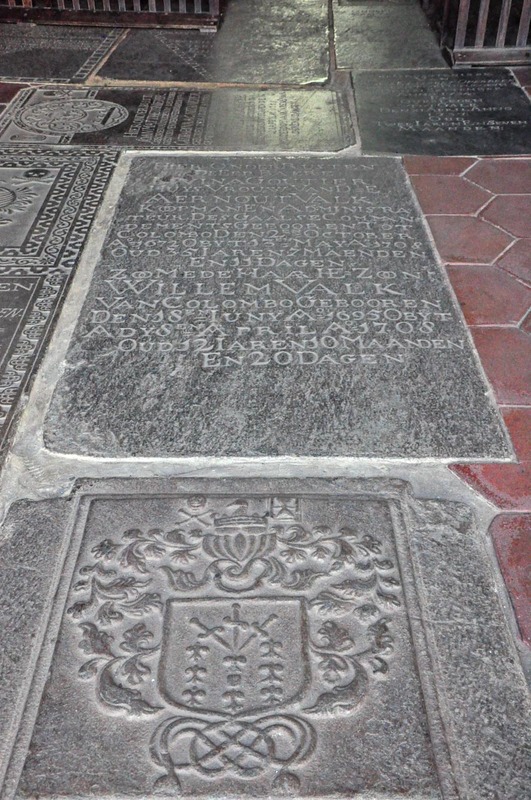 Originally built in 1640, the floor of the Dutch Reform Church is laid with tombstones which were moved there from the Dutch cemeteries. The oldest of which dates from 1662. There are more tombstones in the grounds of the church. Leaving the Dutch Reform Church, we continued up Church Street, making our way to the Clock Tower; our starting point for our walk along the Fort’s ramparts. Heading east and past the Main Gate, we walked up onto the ramparts at the Moon Bastion with its Clock Tower that was built by the British in 1882. From here we were able to look down the ramparts (east and west) to the Star Bastion and Sun Bastion. This is the most heavily fortified section of the ramparts as they protect the most vulnerable side of the Fort – the northern landward side. 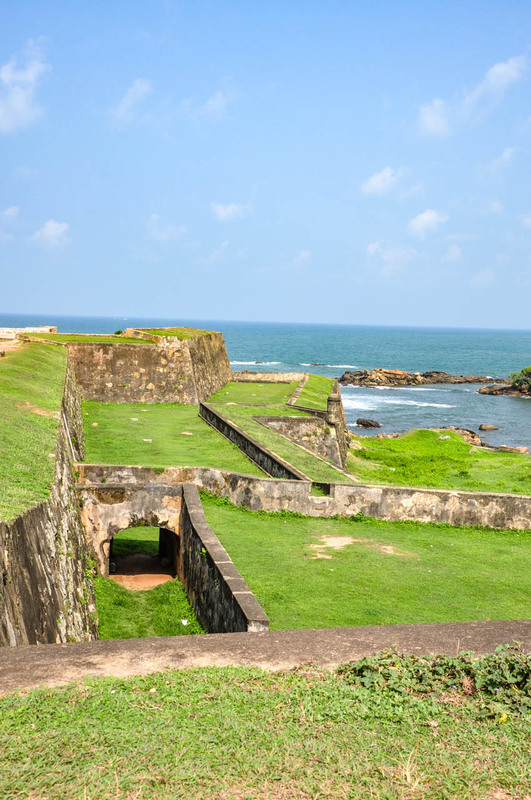 Galle Fort is surrounded on three sides by the Indian Ocean. For those cricket fans…These northern ramparts provide a good view of the Galle International Cricket Stadium outside the Fort. This massive, 30,000-seater stadium has hosted more than 100 one day international matches. Australian bowler, Shane Warne claimed his 500th Test wicket at the Stadium in 2004. In 2010, Sri Lanka’s legendary cricket player, Muttiah Muralitharan played his last match at this venue. However, as at July 2018, the Galle Stadium was a risk of loosing its UNESCO World Heritage status due to the unauthorised construction of the 500-seat pavilion. Turning south, we came to the Fish Market Bastion, where we left the ramparts to walk through Court Square. Here we stopped at the Old Gate. 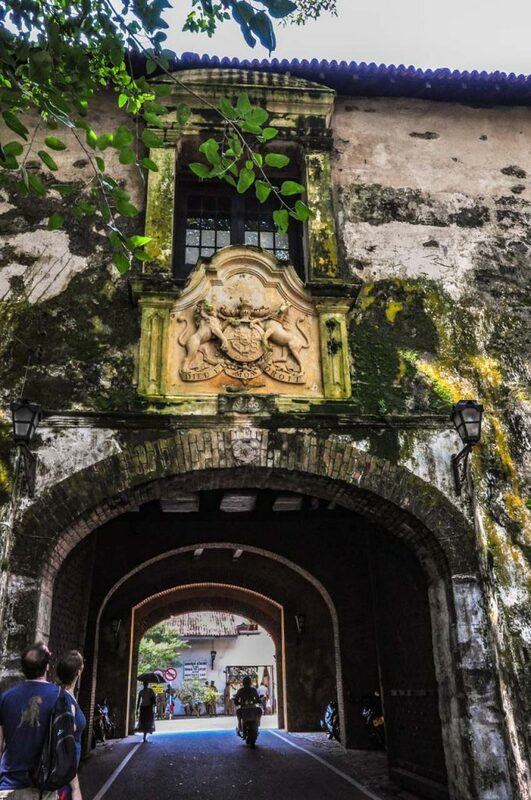 This was the original entrance to the Fort, with the Fort side of the gate inscribed with the Dutch East India Company’s coat of arms. The port side of the gate is adorned with a British crest (which replaced the original Dutch crest). Court Square is shaded by magnificent, massive banyan trees with branches that seem to spread forever. The Square houses the law courts (with the lawyers standing around in their black suits) and the Old Dutch Hospital (now home to shops and cafes). Heading south down Hospital Street, we found ourselves at Point Utrecht Bastion which is dominated by the lighthouse. Built in 1938 and standing 18 metres high, the lighthouse is still in use. At the lighthouse, we climb back up onto the wall; walking along the southern rampart towards Flag Rock. Along this southern section of the wall, families were gathered on the shaded grass; picnicking and playing cricket. Walking past the Meeran Jumma Mosque (which looks very much like a European Baroque church), we came to Flag Rock located on the southern-most end of the Fort. People dive from Flag Rock into the ocean – described as daring free-style divers. I did see one young man run along the top of the rock and dive from it. “Idiot” might be a better description than “daring”. “Clearly potty” is how one guide book describes these jumpers. Perhaps they have insider knowledge of exactly where the submerged rocks are? We finally headed north as the ramparts hugged the west coast. We ended our ramble along Galle Fort’s ramparts near the army barracks, just before the Clock Tower where we had begun. Here we cut across the village green, past the Army Barracks as I had thrown a hissy fit; being upset that we were still walking in the heat. This was a short cut back to our hotel and a welcomed decision. The guide books and tourist brochures inform you the walk along the ramparts will take 90 minutes. We took almost twice that length of time due to the heat and constant stopping to take photos. It’s surprising how hard it is to lift your feet when weighed down by heat and humidity! We made a couple more stops before heading back to our hotel for a well-earned rest in a lovely cool room. A long cool drink on the wide veranda of the luxury Amangalla Hotel was warranted before visiting the Manor House Museum (at 31-39 Leyn Baan Street – entrance is free). This is a private collection of antiques and miscellaneous objects (described by one guide book as “outright junk”). The collection belongs to Abdul Gaffar, a local gem merchant, and is on display in a restored Dutch house. In my opinion, Gaffar has a serious hoarding problem, with rooms and cabinets stuffed full of old typewriters, cameras, telephones, crockery, spectacles, jewellery and old Chinese memorabilia. To describe this collection as bazaar is being very kind and generous. It was just downright weird! 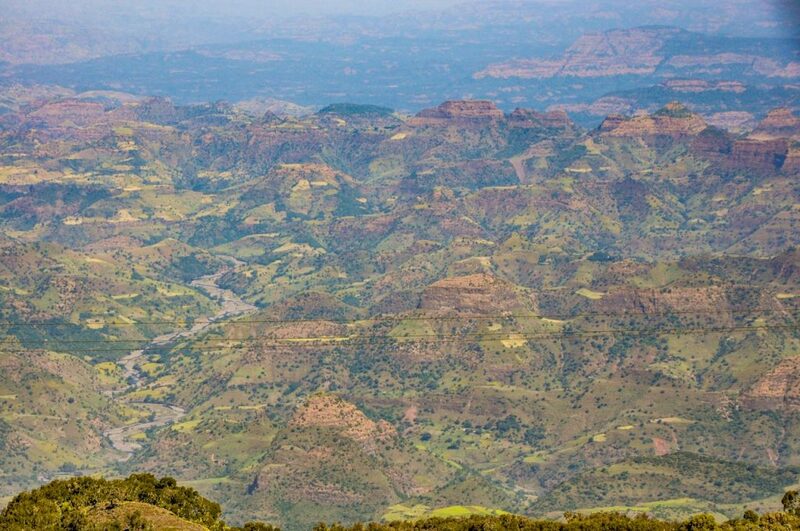 For that reason alone, it is worth the visit. The museum does provide insight into some traditional crafts with presentations of lace embroidery, gem cutting and jewellery making. However, be cautious if you suffer from asthma because the museum is very, very dusty. Lunch was at the Serendipity Arts Café; recommended by one guide book as a place to eat. The food was good (had a very tasty chicken club sandwich – not very imaginative of me) but I would not recommend it as it was not atmospheric; as was foretold. We were back at the Fort Bazaar in time for a rest before partaking of the hotel’s scheduled afternoon tea and cakes served on the terrace. This night we had dinner at The Fort Printers (39 Pedlar Street). This elegant, small private hotel (a restored 18th century mansion) was a printing facility in its former life. The original printing press is on show in the lobby of the hotel. We had discovered this hotel on our morning walk. I found the menu limiting as I am allergic to seafood and this was the speciality of the house. My sister and brother-in-law do not suffer from the same affliction and loved the menu choices. However, the menu did include chicken, lamb and vegetarian dishes. The restaurant is in a lovely setting in a courtyard around a small pool. We were tucked into an alcove at the side of the courtyard that afforded a good level of privacy. Which was just as well as our conversation became quite lively and animated. Even so, we were not forgotten. The staff were friendly, attentive, knowledgeable about their menu, and ready to answer any questions we had. The food was so good, we went back a second night. And so, our first 24 hours comes to an end. 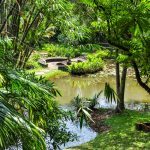 But not so our stay in Galle Fort as we spent a further day venturing outside of the Fort and into the countryside beyond; visiting the Martin Wickramasinghe Museum, Kataluwa Temple, the coastal village of Willgama, and a final stop at the Peace Pagoda. But that’s another story. Disclaimer: This post contains no affiliate links. All views and opinions are my own and unsponsored. Unless specifically stated, all photos are my own and remain a copyright of Joanna Rath.